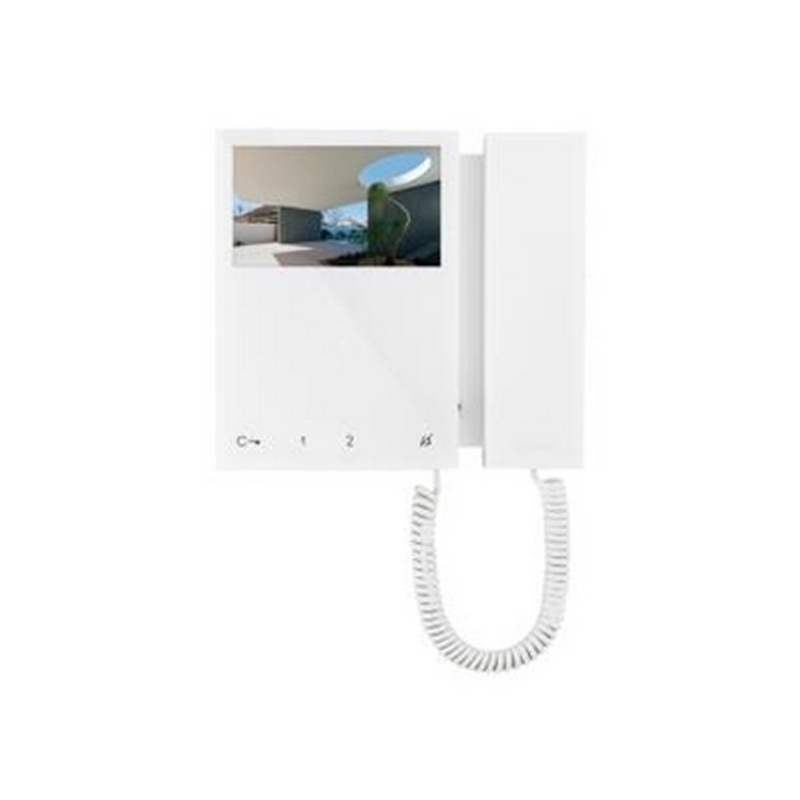 Wall-mounted colour monitor with 4.3" 16/9 screen and handset. 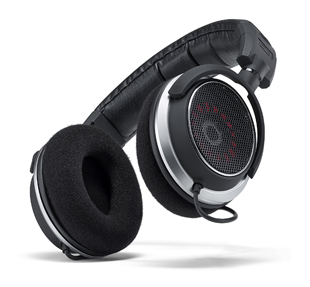 Allows brightness and contrast control, plus adjustment of the volume of the ringtone, which can be customised with a choice of different melodies. 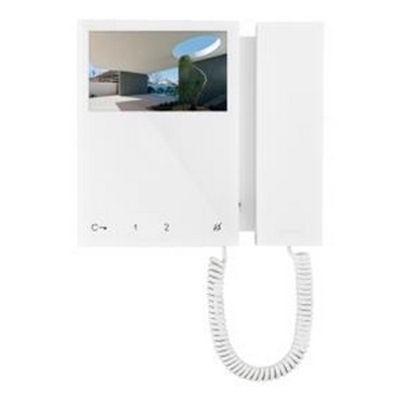 Equipped as standard with 4 soft touch buttons for door-opening, self-ignition, switchboard call and privacy service functions and with door status indicator LEDs. Manages floor door calls as standard. Option of adding 4 additional buttons with accessory Art. 6733W. 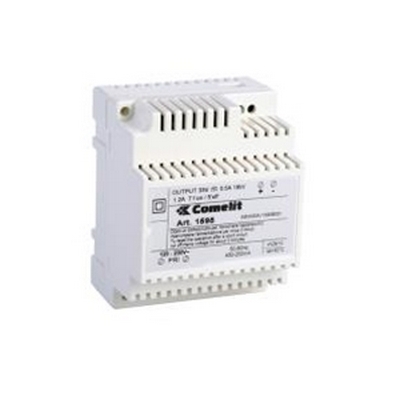 Complete with 2 x 8-position DIP-switches for user code programming and button programming. 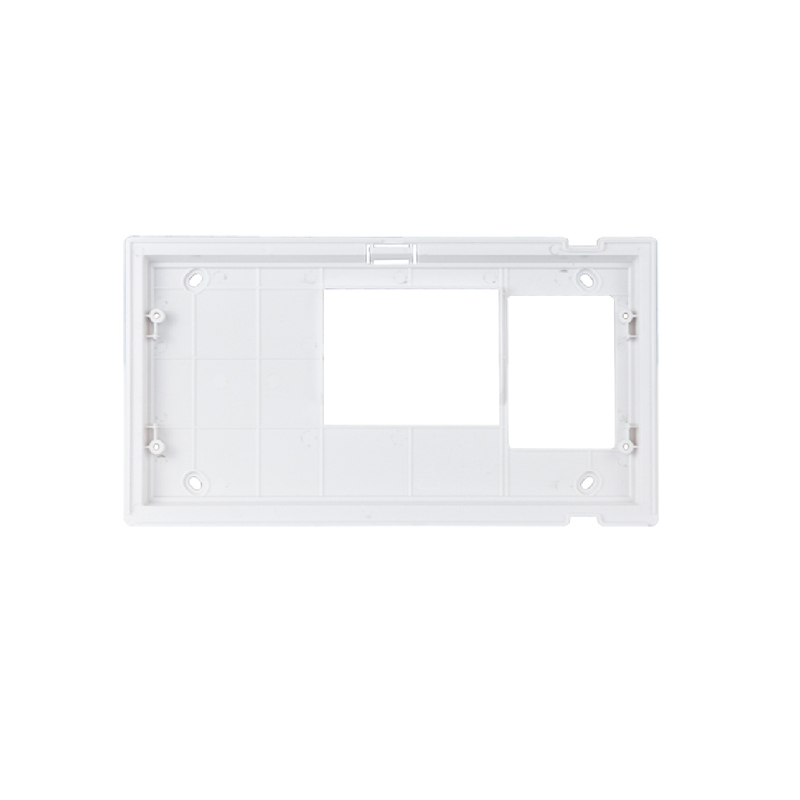 Includes wall-mounting or residential series box backplate and riser distribution terminal Art. 1214/2C. The monitor can only be used in 2-wire SimplebusTop Color systems. 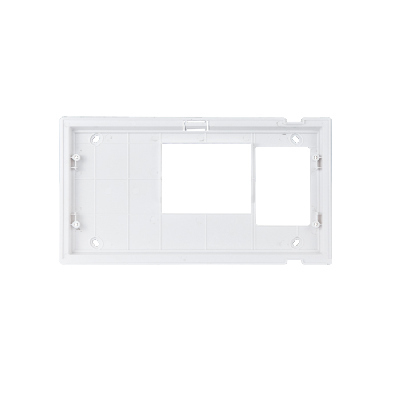 Dimensions: 175x160x22mm. 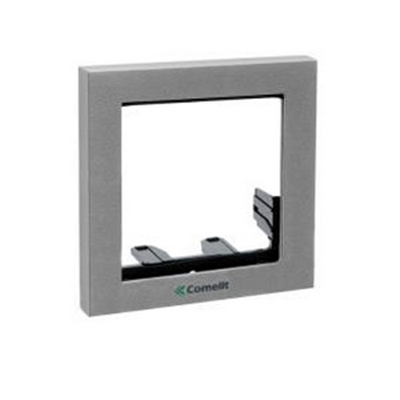 Comelit EX-7000HW Wall-mounted hands-free monitor with audio. 4.3" screen with wifi port. 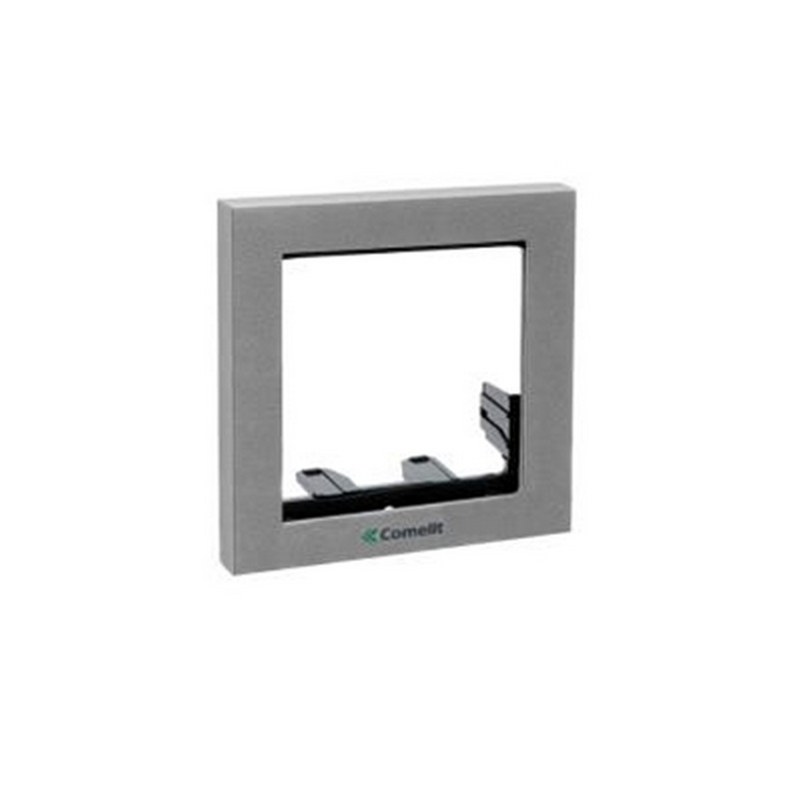 Flush-mounted (accessory for mounting included) • Surface-mounted (accessory for mounting included) • Color monitor with 7" 16:9 Wide-Screen • Hands-free full-duplex audio • Touch sensitive controls. • Adjustment of brightness level, contrast, audio volume and ringtone volume • Customizable ringtones • Fitted as standard with control buttons for lock-release, audio enable/disable and paging call with relative indicator LEDs, plus 6 further buttons for self-ignition, privacy service and other programmable functions. • Manages floor door call and call repetition. 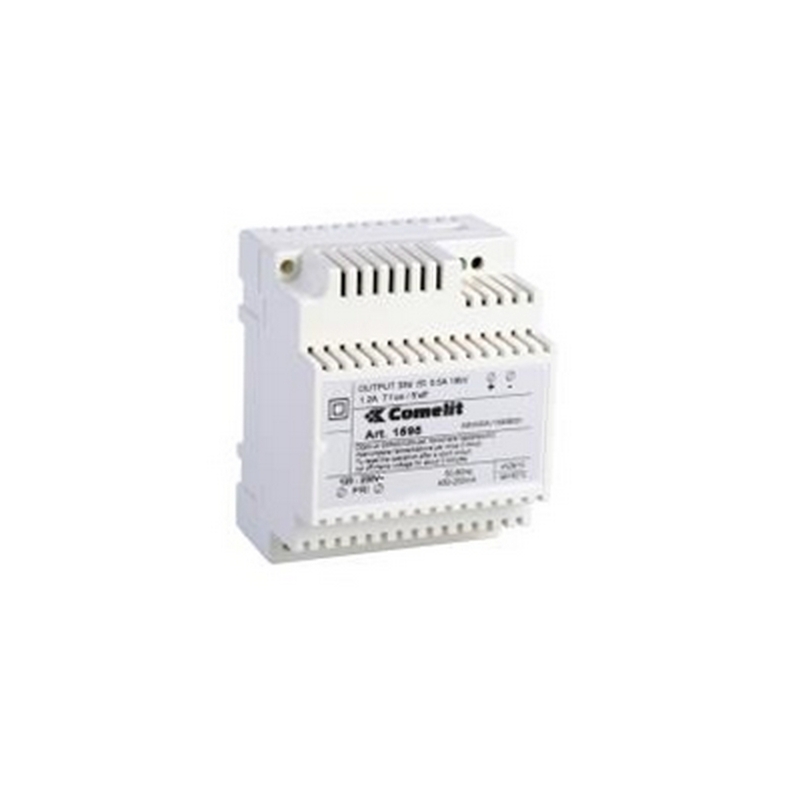 • Complete with 2 x 8-position DIP-switches for user code programming and button programming.